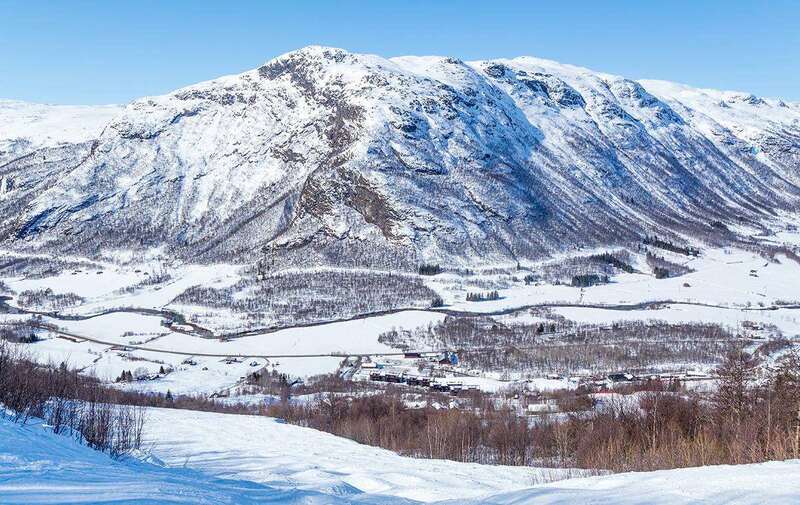 A great property in the centre of Hemsedal Town which gets lively on the weekends when the locals flock towards Hemsedal - the resort is well known in Norway for its après ski and nightlife. And the Skogstad Hotel is one of the places to be with it's own après ski bar. The ski shuttle bus stops outside the hotel to whisk you to the base of the slopes, and it’ll pop you back in the afternoon so you can relax in the sauna and steam room before going for an excellent meal in the restaurant. Rooms: for 2 people on Half Board sharing a hotel room with twin beds and en suite bathroom with shower, sink and WC. Family rooms with twin beds or a double bed, plus two single beds on mezzanine level and an en suite bathroom with shower, sink and WC. Maximum occupancy for family rooms is 3 adults or 2 adults and 2 children. All rooms have telephone, cable/satellite TV and hairdryer. Buffet breakfast and set menu 3 course evening meal or dinner buffet followed by tea or coffee – the hotel prides itself on its food and the evening meal is superb, gives you something to look forward to every day. Vegetarians are well catered for here too (but let us know at reservation time so we can let them know in advance). Lunch pack available at a supplement which is made yourself from the breakfast buffet.